Leading Manufacturer of Red Fountain Grass, Lawn Grass and Aspera Grass from Kolkata. 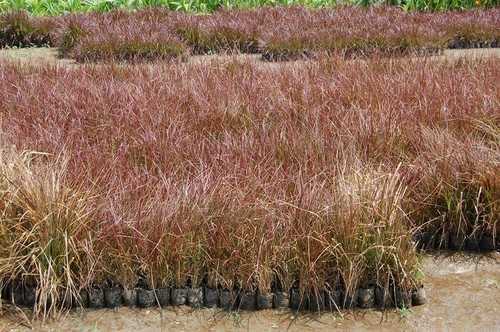 With vast industrial experience, we are involved in offering a wide range of Red Fountain Grass. Banking on the skills of our qualified team of professionals, we are involved in providing a high-quality range of Lawn Grass. A lawn is an area of land planted with grasses or (rarely) other durable plants, which are maintained at a short height and used for aesthetic and recreational purposes. Common characteristics of a lawn are that it is composed only of grass species, it is subject to pest control, it is subject to practices aimed at maintaining its green color, and it is regularly mowed to ensure an acceptable length, although these characteristics are not binding as a definition. In recreational contexts, the specialised names turf, pitch, field or green may be used, depending on the sport and the continent. The term lawn, referring to a managed grass space, dates to no earlier than the 16th century. Tied to suburban expansion and the creation of the household aesthetic, the lawn is an important aspect of the interaction between the natural environment and the constructed urban and suburban space. Owing to the rich industrial experience and expertise in this business, we are engaged in providing Aspera Grass. A lawn is an area of land planted with grasses or (rarely) other durable plants, which are maintained at a short height and used for aesthetic and recreational purposes. Common characteristics of a lawn are that it is composed only of grass species, it is subject to weed and pest control, it is subject to practices aimed at maintaining its green color, and it is regularly mowed to ensure an acceptable length, although these characteristics are not binding as a definition. In recreational contexts, the specialised names turf, pitch, field or green may be used, depending on the sport and the continent.